Los Barriles Baja California Sur homes for sale, Los Barriles beach front. Las Tinas, Punta Pescadero, Buenos Aires, El Cardonal, waterfront, Auto home finder and new listings notifier to alert you to the newest homes for sale in Los Barriles Baja California Sur. For all your Los Barriles real estate needs and questions on buying or selling a home in Los Barriles. East Cape in the Baja -- its very name evokes warm, sunny weather, palm trees, blue skies and magnificent beaches along the breathtaking Sea of Cortez. And perhaps best of all, the real estate opportunities abound in this ideal part of Southern Baja! Picture yourself in Paradise? We are here to help!!!! We are the only Eastcape Realtor that handles all phases of real estate in house. Nothing is farmed out to a third party, you have complete control of your very important financial investment. 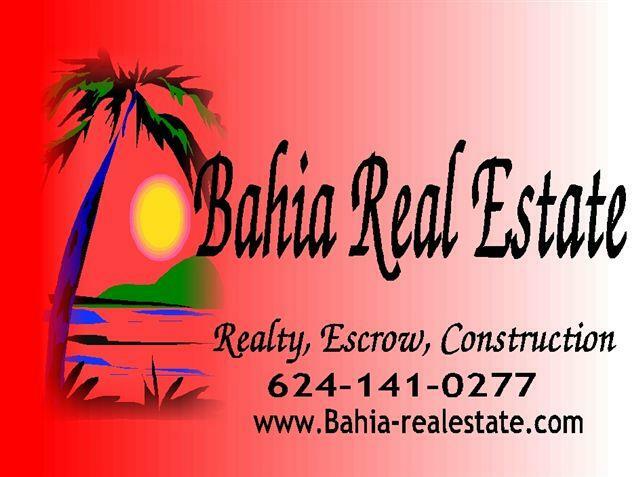 Whether it’s a luxury home, home site, condominium, acreage, planned development or investment property Bahia Real Estate is here to assist you in realizing your real estate dream. Los Barriles is conveniently located 45 miles North of the Los Cabos airport and 65 miles South of the La Paz airport. Call us and let us help you with your important Real Estate needs!